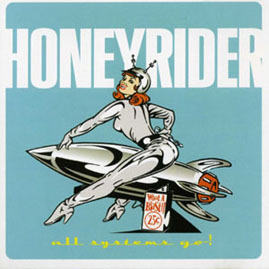 As a follow up to Honeyrider's fabulous 2002 debut on Orange Sky Records, Sunshine Skyway, here comes the long-awaited US release of All Systems Go!, with five bonus live tracks, recorded at the International Pop Overthrow Festival in NYC in December 2002. Upon its release in the UK and Japan, All Systems Go! received rave reviews in publications such as Rolling Stone and NME.